News :: AWD-IT Latest News - Athlon X2 340 / Gigabyte GA-F2A55M-HD2 AMD A55 DDR3 Micro ATX HDMI Motherboard - and Bundle!!! Home/News/AWD-IT Latest News - Athlon X2 340 / Gigabyte GA-F2A55M-HD2 AMD A55 DDR3 Micro ATX HDMI Motherboard - and Bundle!!! AWD-IT Latest News - Athlon X2 340 / Gigabyte GA-F2A55M-HD2 AMD A55 DDR3 Micro ATX HDMI Motherboard - and Bundle!!! 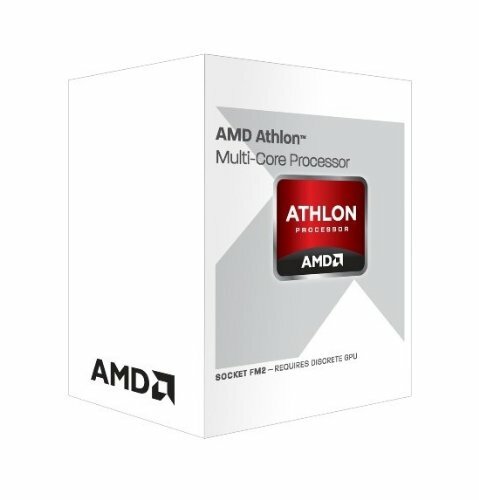 Do more of the things you want to in less time and enhance your digital life with the multi-core performance and energy efficiency of AMD Athlon™ II processor-based desktop systems. Combined with superior ATI Radeon™ HD graphics technology, systems based on the AMD Athlon™ II processor deliver a vivid visual experience, superior multi-tasking, and exceptional digital media performance with next-generation energy efficiency. 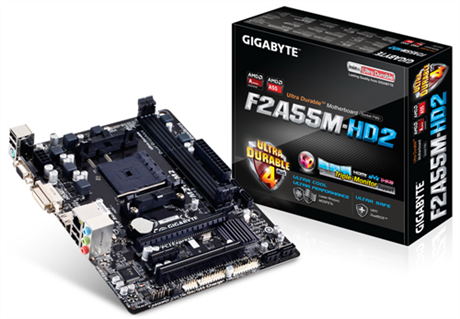 GIGABYTE FM2 motherboards are the latest range of next-generation desktop motherboards based on the AMD A55 chipset, supporting a new generation socket FM2 of 32nm AMD A-series APUs with DirectX11 graphics integrated. Delivering AMD’s industry-leading performance and equipped with a comprehensive range of unique features that offer mainstream PC users the most compelling platform on the market today. 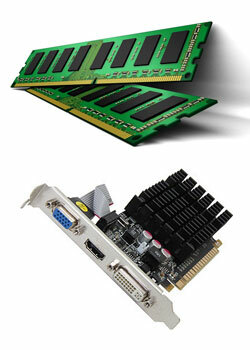 We have put these components together to bring you a very exciting component bundle. With 2GB, 4GB, 8GB or 16GB DDR3 1333MHZ RAM Memory options available, and a price tage of just £95 for the 4GB version, this bundle brings the concept of performance and price to the next level. Although do note - despite the F2A55M-HD2 having some tasty GPU hardware on-board, this is sacrificed by a lack of support from the X2 340 CPU - so a discreet graphics card will be required for display output.